Our company is committed to developing a long-term business relationship with our customers through hands-on account management with your staff and organization. 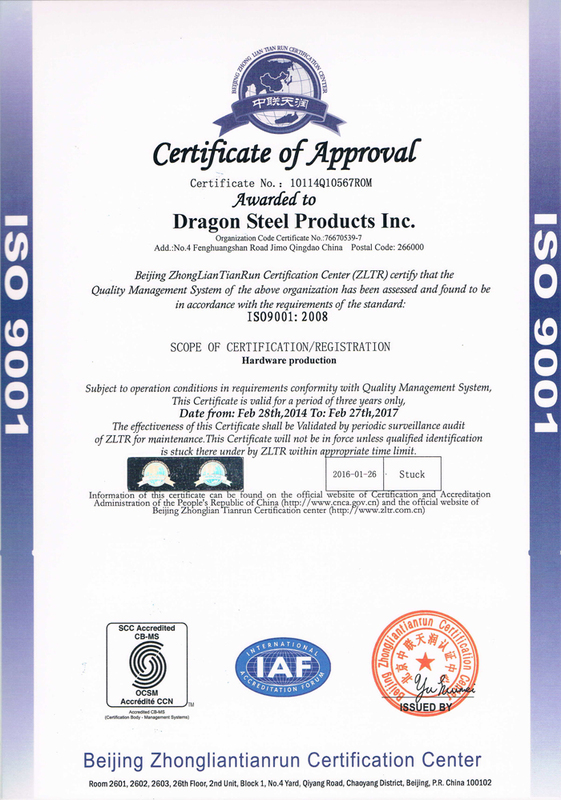 Dragon Steel Products sees success as something achieved when its customers are satisfied and all their business needs are met promptly and professionally. With this commitment in mind, our company always keeps its lines of communication open to clients. We welcome your inquiries, suggestions, or comments and our friendly customer service staff is always there to assist you. We strive to give you our personalized attention no matter how big or small the matter may be. Please feel free to contact us to get more information about our services and products. All industries and markets are accessible through our extensive contacts. Our products are of the highest quality in the market and go through strict quality control inspection prior to shipment. We have strategic locations close to the Southern ports of Shanghai and Northern ports of Qingdao, which allow us to consolidate orders and products from several manufacturers in the same shipment. This also ensures that our customers get the best product mix through the most direct route. Products Liability Insurance: Dragon Trading is insured by a reputable carrier. Certificates of insurance can be provided upon request. © 2010 DragonCastings and Forgings. All rights reserved.